Since making her debut with Walking and Talking in 1996, Nicole Holofcener has been telling female-centred stories that are notable for their wit, intelligence and warmth. Despite the consistently high standard of her work, Holofcener remains one of American cinema's best-kept secrets, with her work failing to find the audience that it deserves. Her new film Enough Said will probably receive more attention that all of her previous films combined, which is a pleasing state of affairs but I wish it were under happier circumstances. This film marks one of the final screen appearances for the late James Gandolfini, and for this reason a whole new audience is likely to encounter Nicole Holofcener's work for the first time. What they will discover is a film that bears the hallmarks of her previous films, but which is also something new. Holofcener's pictures to date have been ensemble films built around a single theme, whereas Enough Said is much more narrative-driven, with the whole film hinging on a sitcom-style premise. Eva (Julia Louis-Dreyfus) is an LA-based masseuse getting back into the dating game some years after her divorce. 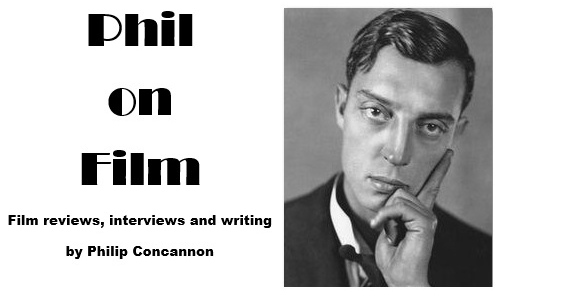 She meets Albert (Gandolfini) at a party and, despite a lack of initial attraction, the pair begin seeing each other, with their relationship being built on a shared sense of humour and worldview. Their first date is Holofcener at her best, as she allows us to simply spend time in the company of her two lead actors, enjoying their very funny exchanges and Louis-Dreyfus's infectious laughter. I could have happily watched a whole movie that consisted of nothing more than Holofcener's characters hanging out and trading quips, but the plot soon throws a spanner in the works. When Eva realises that Albert is the loutish ex-husband that her new client Marianne (Holofcener stalwart Catherine Keener) spends their sessions complaining bitterly about, she decides to keep the revelation to herself. Instead she takes the opportunity to learn about her new partner's flaws, but this information soon starts to warp her own perspective on Albert's behaviour and begins to poison their happiness. When things inevitably come to a head, as we know it must, it feels like Holofcener is adhering to convention in a way that feels contrived and strained. Where I was enjoying the experience of being in these characters' company, I suddenly felt distracted by the machinations of the script and started anticipating predictable story beats. This is not really material that plays to the director's strengths but she manages to use it as a framework through which she can examine the way people approach relationships and attempt to use prior experiences to protect themselves against potential future heartbreak. It doesn't feel like Enough Said has the weight or incisiveness of some of her earlier work, but if this is to be seen as a straightforward romantic comedy then it certainly feels funnier, smarter and truer than almost any other recent entry in the genre. Surrounding the central narrative there is Holofcener's usual brand of superbly performed character-based comedy, involving the inability of Eva's friend (Toni Collette) to fire her maid or Eva's relationship with her daughter (Tracey Fairaway) and her daughter's best friend (Tavi Gevinson). These well-observed aspects of the script help to alleviate its occasionally tortured adherence to convention. Above all else, Enough Said is a triumph of against-type casting. 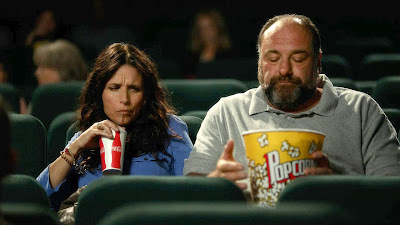 Despite being a consistently terrific presence on TV over the past two decades, Julia Louis-Dreyfus can't have been high on many lists of potential feature film leads, but she gives a sparkling performance here and the chemistry she shares with Gandolfini is magic. Of course, watching James Gandolfini in this role is a bittersweet experience, but his portrayal of the gentle and vulnerable Albert gives him the opportunity to play notes that few other directors have asked of him, and it reaffirms that this was a truly great whom we have lost far too soon.